After Jon Corzine lost his bid to serve a second term as New Jersey governor, he received a call from an old pal he used to work with at Goldman Sachs. This pal and ex-colleague, J. Christopher Flowers, was (and still is) sort of a big deal. After leaving the Goldman partnership, Flowers, now a billionaire, founded a fancy eponymous private equity firm that today owns stakes in several global companies, including a cash and derivatives broker-dealer called MF Global. 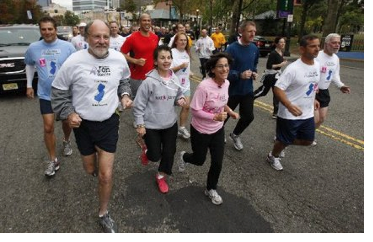 Flowers figured that Corzine, then jobless, would be a good candidate to take an ailing MF Global and run with it. And run with it he has. Over a year has passed since Corzine began refashioning MF Global in his (and Goldman Sachs') image, and, by all accounts, the marriage has been successful. After cutting 10 percent of the firm's staff, Corzine is now expanding in Asia, scoring high-profile assignments (yesterday the New York Fed chose MF Global as one of the two new securities dealers to help the U.S. government sell Treasuries), and even going places that Goldman Sachs can't. While Goldman "has been shedding its proprietary-trading desks to comply with the Volcker rule, which bans large banks from engaging in short-term trading solely for their own profit," "MF Global [has] added a proprietary-trading desk called Principal Strategies Group," which is being led by former Soros Global Management star trader Munir Javeri. Of course, growth means a need for more bodies and, to that end, MF Global is currently looking to add more than 60 new employees, including full-time analysts, summer analysts, business analysts, risk analysts, credit analysts, fixed-income analysts, full-time associates, summer associates, financial accountants, systems accountants, compliance officers, IT developers, branch managers, salespeople, and traders. These positions and others (all located in one of four offices: New York, Chicago, London or Singapore) can be applied to via the MF Global careers site.